About half of Holland lies below the sea level. Cities like Amsterdam, The Hague, Rotterdam, Utrecht, Volendam, and many more would not exist. That is where more than half of the Dutch population lives! After Roland returned from New Orleans, he was determined to go back in history and see how the Dutch fared all those years. Since 1200, the documentation about flooding became more reliable. Every history book mentions the St Elizabeth flood of Nov.18-19, 1421 which formed the Biesbosch; a miriad of water flows among the little islands formed where the Rhine and Maas rivers come together before it all flows out to sea. 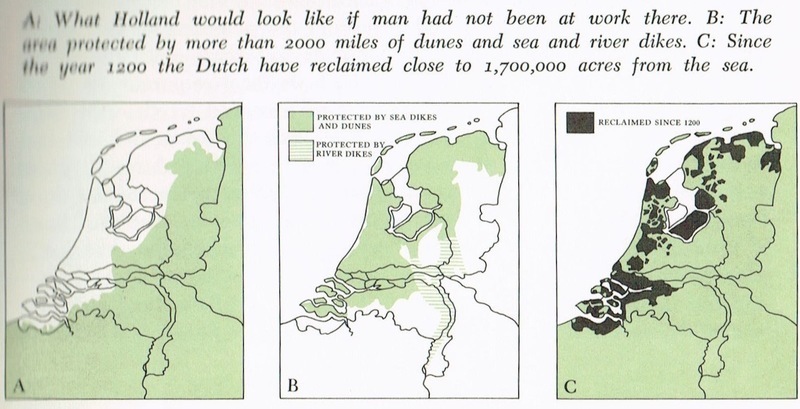 More floods followed in 1530, 1570, 1574 when dikes were purposely broken to keep the Spaniards from reaching Leiden. In 1775 another one, which created describing meteorological factors in connection with the flood. Others in 1808, 1825, 1894, 1906, 1916, 1944 when Walcheren was bombarded, and the latest flood in 1953. Roland finally got the whole story together about the moon and its correlation to the tides. He knew the basics but did not realize the total effect it had on the Dutch fight against the water. Every 24 hours and 50 minutes the sea level rises and recedes twice into high tide and low tide. This is influenced by the magnetic force of the sun, but even more so by that of the moon. This is the strongest with full moon and new moon, when the sun and the moon are in alignment, and pull simultaneously so high tide is extremely high. That is why there is an extreme high tide and extreme low tide every 14 days. Even the tide differences vary by location. Thus the difference between high tide and low tide in the South-West can be as much as 9 ft., while in the North (Den Helder) it is only 3 ft. It all depends on how much “space” / how deep it is, for water to go. Also the wind can influence the water levels independent from the tides. A Wester storm can really make the water go higher and an East wind will do the opposite. And that is what happened that fateful day of February 1, 1953! Roland was almost 9 years old, then, and had left Holland with his family to live in Venezuela, so age plus distance made it difficult for him to visualize the extend of damage done. 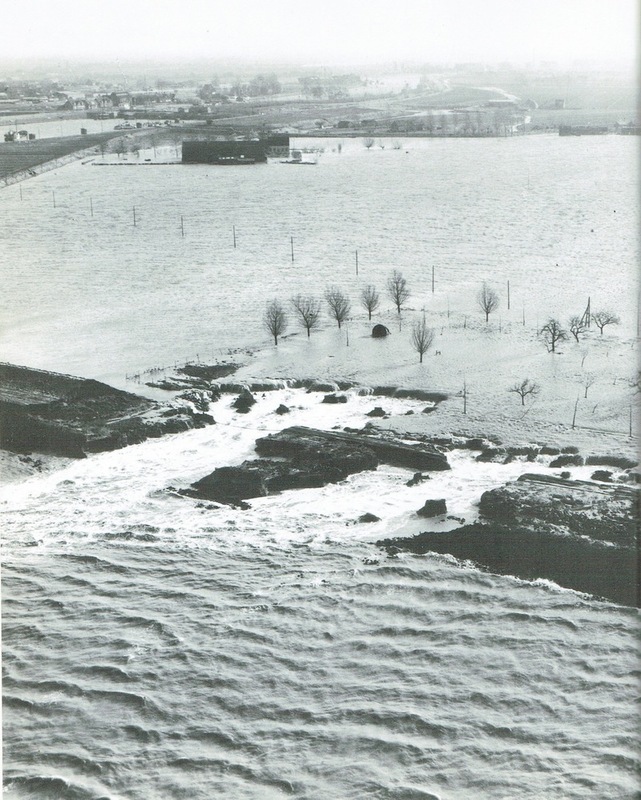 It was not until the 1970’s when Roland became part of the solution as an engineer fresh out of college, assisting with the Delta Plan to strengthen the dam and dike system in Zeeland and Zuid-Holland provinces, that he started to see the effect.